Nagios is (in my opinion) one of the finest availability and monitoring solutions available. The stability, extendability and cost effectiveness (it is free under the GPL), are second to none (again, my opinion). That being said, it is far from being the easiest monitoring solution to implement. The build process itself, while not being overly complicated, can be vexing to new Linux users. That doesn't even include the configuration, which sometimes still makes me cringe. Fortunately, there are a few projects that aim to ease both the installation and configuration of Nagios. There is Centreon (formerly Oreon), fruity and then there is GroundWork Open Source. For me, it seems to be the most intuitive tool that I have found to implement and configure Nagios and is the subject of this guide. 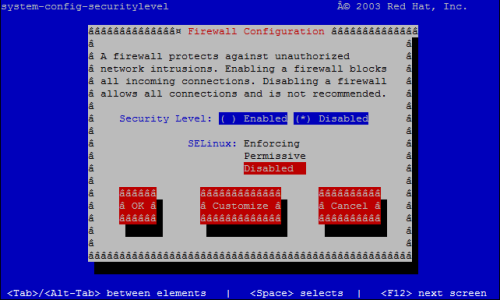 Select "Disabled" for both the "Security Level" and for "SELinux". You need to enable the Enable [CentOSPlus] repo so that MySQL 5 is available (as this is one of the requirements of Groundwork). To enable [CentOSPlus], find the following section and change "enabled=0" to "enabled=1", so that it resembles the text below (this should be at the very bottom of the file). It is time now to begin preparing the server with the software necessary to run Groundwork. Issuing the following commands should get you everything that you need (at least that is available from the repositories). First warning: Do not set a password for the root MySQL user yet! It will interfere with the Groundwork install. It will be taken care of later in the guide. Now, restart Apache to make the changes take effect.